Buying Hearing Aids: Online or in a clinic? These days, there are plenty of options for purchasing hearing aids. You can go to a large retail outlet, purchase online, or visit an independent Audiologist in a Hearing Clinic. The price of hearing aids is often cheaper when purchasing online, but what exactly are you paying for, and what are the hidden costs, or long term implications of your hearing aid purchase? What does the cost of the device include? Are you paying for a package of services, or just the device? 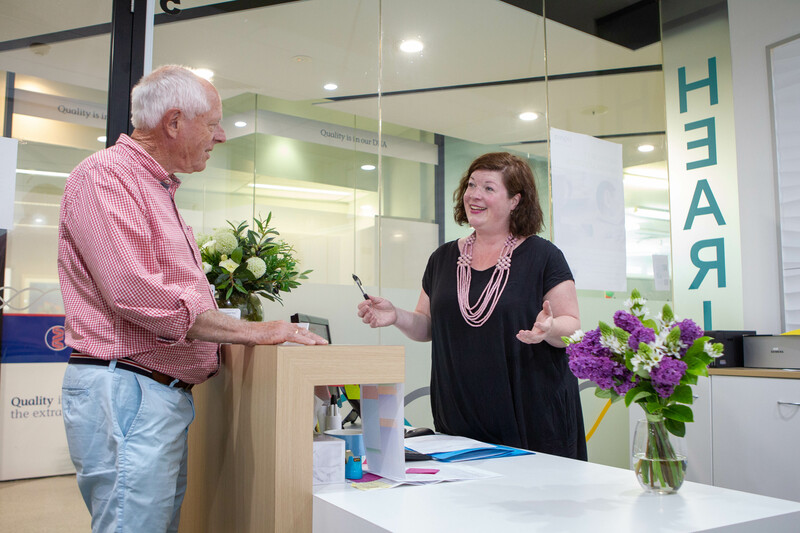 At Pittwater Hearing, our package includes not just the hearing aids and a fitting and follow up appointment. The package includes unlimited follow ups for 3 years. Regular follow ups for fine tuning of the hearing aids are important. Often, over time your adaptation to the hearing aid sound means that you need adjustments for particular sounds or situations. In addition, you hearing may change, so we include a check of your hearing as needed. Are you provided with a large choice of devices, or only 1 or 2? Have you been offered devices that fit completely in your canal? There are several styles of hearing aids, that come in about 4-5 different levels of technology. It is the level of technology that has a large impact on the price, as well as all the other things that we are considering here. Do you have to pay extra for custom earmoulds, replacement parts such as tubing and domes and wax protectors? Pittwater Hearing gives you unlimited supply of these items for the first 3 years as part of the hearing aid package, but a lot of providers will charge you. Are you given the option of a custom made ear tip, or are you only given the “one size fits all” ear tips? What are the features you are paying for? Does the hearing aid have a narrow beamforming directional microphone to help you in noisy situations? Can you adjust the hearing aids using an app on your phone? Do you have access to quick audiological support and audiologists’ hearing aid adjustments via an app on your phone? Can your hearing aid be adjusted by another clinic if you move, or wish to change providers, or are you locked in to going back to the original provider for the life of the hearing aid? What happens if your hearing aids need repair? Do you need to courier itself, or will your clinic do this for you? What is the warranty period? What is the turn around for repairs? How will you manage without your hearing aid? At Pittwater Hearing, we will always provide our clients with a loan device while they wait 1-2 weeks for their hearing aid to be repaired. All they have to do is come and see us, and we look after the rest. Of course, there is a lot to consider, and having time to discuss your options with an audiologist who can advise you on what features or styles are best for you, your hearing loss and your communication needs is essential. Don’t ever hesitate in getting a second opinion if you feel you need it. We suggest seeing an independent Audiologist, who is free to fit all brands of hearing aids.